Schoolchildren from Labytnangi, Yamal are in the town Perigueux, France within the interschool exchange. Here they live in French families, visit lessons in the Lyceum Bertran de Born, go to excursions. They participated in the skills competitions in French language. Thus, the schoolchildren from Yamal visited a French kindergarten, where its pupils demonstrated knowledge of French language, got acquainted with Russian letters, sang a song. The representatives of Yamal visited the famous Lascaux Cave (Grotte de Lascaux), where unique rock paintings had been preserved, and Tourtoirac Cave (Grotte de Tourtoirac). 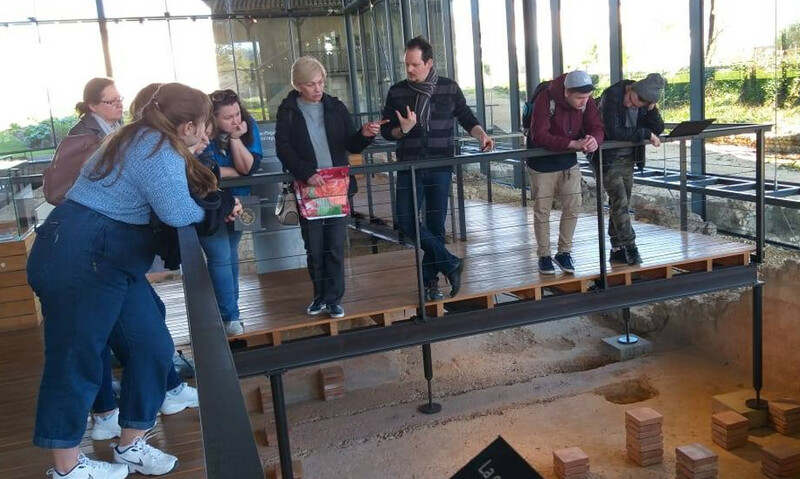 They visited the museum of the Gallo-Roman civilization. In the fire department of Perigueux they got acquainted to work of French rescuers and their equipment. In the National training center of the gendarmerie forces they watched how officers trained. According to the information given to a correspondent of the news agency “Sever-Press” in the regional department of external relations, the upper secondary school of town Labytnangi has cooperated with the Lyceum Bertran de Born of Perigueux since 2008. In 2012 the sides signed the agreement between the two educational institutions, under which active work on fulfillment of joint projects is conducted both in Yamal and in Perigueux. Every year the schoolchildren of the two countries participate in activities of the interschool exchange in Yamal and France. The department of external relations of Yamal-Nenets Autonomous Okrug is the curator of cooperation. The project on the interschool exchange is marking its 10th anniversary this year.